Welcome back! Please, take your time and—woah, hold on there! Yes, all the big awards you’ve been waiting for are below. They’re not going anywhere! There’s no need to hurry. Please, enjoy them at your leisure. And if you missed yesterday’s post, don’t forget the little winners! 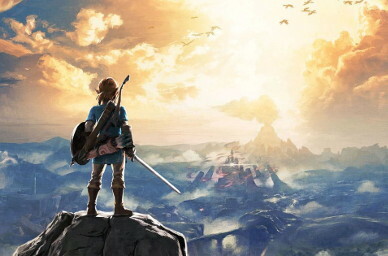 Julia Fletcher: The Legend of Zelda: Breath of the Wild is the first Zelda game I have ever played, so I really can’t compare it to other games in the series. I can, however, confirm is that it is an excellent game. A hugely open world (where I was routinely rewarded for ignoring the plot), solid game mechanics, and a storyline that I genuinely enjoyed uncovering bit-by-bit all came together to create a gaming experience that I could not have predicted—and I loved every minute of it! 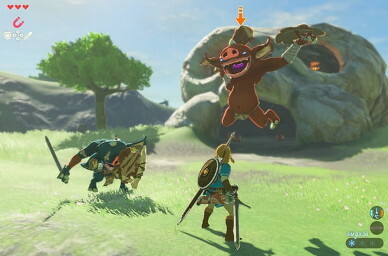 It wasn’t until my second playthrough that I fully appreciated the difficulty progression in the game—the journey from the first blue Bokoblin that kicked the crap out of me to destroying silver Lynels never felt rushed or out of step—and the story has a depth to it that I also discovered by just stumbling across further plot material in the second playthrough. Overall, it was definitely my Game of the Year for 2017, and I feel it is very deserving of this reward. 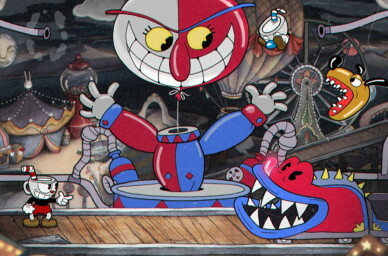 John Rizzi: Cuphead is a masterpiece of a game made by old-school gamers for old-school gamers. Who knew that a visual style reminiscent of 1930s Disney animation and a gameplay style that harkens back to NES side-scrollers would fit so well together? The game is difficult for sure, but the amount of charm, personality, and creativity on display here makes you want to keep going just to see what else is in store for you. Designer Jared Moldenhauer and the rest of Studio MDHR should take a bow for this achievement of a game. Joseph Martin: When a new system comes out, the idea of filling up an entirely new section of one’s gaming library can seem like a daunting task. Many of the games that convinced you to finally invest in a new platform are much too expensive to purchase all at once, but it’s also difficult to justify buying an entire system to play one game. 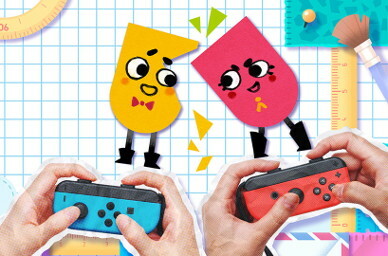 Thus, the quality of Snipperclips was particularly important to the early success of the Switch. Not only was the game a relatively cheap way to expand your Switch library, it contained a ton of fun multiplayer puzzles to entertain your friends with amidst the largely single-player heavy hitters of the Switch’s first year. Snipperclips is a blast to pick up and play with anyone, which works excellently with the Switch’s whole easy multiplayer motif. The challenges offer some tricky problem-solving that has a satisfying variety of approaches thanks to the simple yet deep “snipping” mechanic. When it comes to downloadable games, this one is a cut above the rest. Terrence Atkins: I don’t think there are any “nite”s, but I’m pretty sure there are forts in this game. I think there’s something about building stuff—but what’s really being built is the game itself. 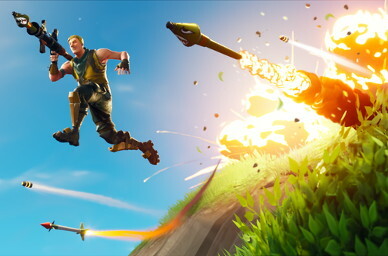 The developers are always releasing something new, and this isn’t some garbage “open pre-alpha” just meant to cash in on some hype and then die without the game being released. Expect to see this one again on the 2018 Year-End Awards. 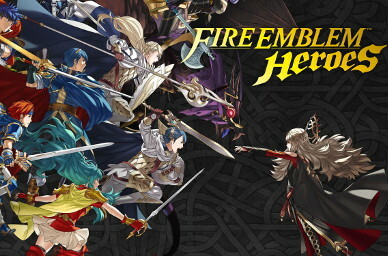 Smimming Rox: Fire Emblem Heroes is my go-to app for any and all breaks in my day. The battles are quick enough that you can easily get one done in the shortest of work breaks, but they still challenge you with that classic Fire Emblem strategic thinking. Fire Emblem Heroes is also a great way to discover cool characters from all of the series’ games without getting a crapton of spoilers. The original storyline and characters from the game are also intriguing, and the lore grows with every update. Fire Emblem Heroes has definitely earned its spot as the Best Mobile Game. Brandon Tan: For many people, the biggest appeal to Cuphead was its distinctive ’30s cartoons visual style. The graphics are incredible, but they would not pull a game to greatness on their own. 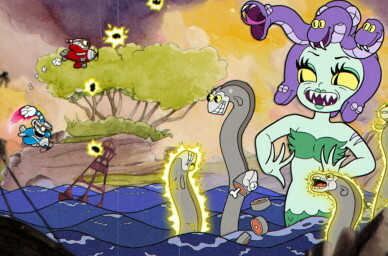 Cuphead‘s varied shooter gameplay changes it up just enough to always stay fresh, between platforming “run and gun” stages, varied boss fights, and the occasional trip to the skies. It’s definitely not an easy adventure, though—depending on who you ask, some may claim “it’s like Dark Souls“. Smimming Rox: Super Mario Odyssey is the perfect blend of innovation and tradition. Featuring an engaging, yet humorous, story, unique levels, and a killer soundtrack, the latest entry in the Mario franchise brings an amazing experience for new and veteran players alike. Super Mario Odyssey is a game that everyone should play, since it has something for everyone—whether it be dinosaurs, New Donk City jazz, shirtless Mario, or classic graphics from Super Mario 64. 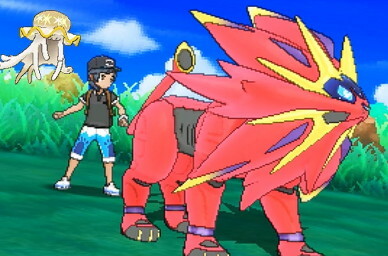 Colee Koballa: It’s by no means a surprise that Pokémon Ultra Sun and Ultra Moon seized this year’s best portable game award. Being an upgraded version of Pokémon Sun and Moon, these games brought many new additions, including more Pokémon from previous generations, Mantine Surfing, taking pictures with your Pokémon, wormhole exploring, plus some story tweaks and cameo appearances from everyone’s favorite villains as a unified alliance—and much more! 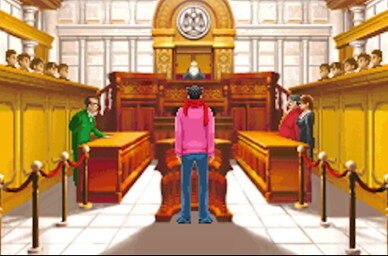 Some fans thought it redundant to buy this title, in which a majority of the content remained the same as its predecessor. However, I feel the added content created a new, fresh experience which justifies buying these games even if you’ve played the original Sun & Moon like I did. Climb your way to the top and become the best of the best. Catch them all to become a master. Your destiny is only a Pokéball throw away. Dan Conlin: Plenty of games were released twenty years ago, but few still see regular play even now as if they were still brand new. 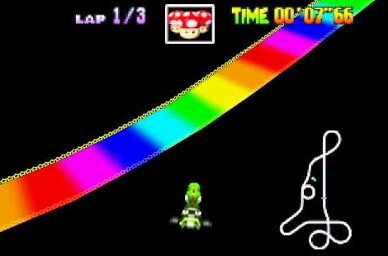 Though dated in graphics and lacking the features of its younger siblings, Mario Kart 64 continues to boast vocal fans and even more vocal rivalries. The simple and accessible gameplay stands the test of time to the point where casual MK64 tournaments are commonplace in certain communities. Whether you’re sticking the landing on the Rainbow Road shortcut or falling off the big jump in Wario Stadium thanks to ANOTHER lightning bolt (followed by several minutes of cursing out Toad), we’re still coming back for more two decades later. Nathaniel Hoover: It’s the late ’80s. You’ve got four games for your NES—and one of them comes in a snazzy gold cartridge. The game’s beefy little instruction manual offers a glimpse of a sprawling world filled with magic and monsters, labyrinths and loot. Tired of endlessly jumping over barrels, smashing walls at construction sites, and being laughed at by a dog, you pop in The Legend of Zelda. Within seconds, the majestic title screen and haunting, heroic music have you hooked. Within minutes, you’re not playing a game anymore; you’re on an adventure. Three decades later, it’s easy to write off The Legend of Zelda as a quaint relic of a bygone era when “you have to die to save your game” was acceptable game design. Now we’ve got such classics as A Link to the Past, Ocarina of Time, Breath of the Wild, and Link Rides a Choo-Choo Train—why would anyone go back to the original? The best parts of the game went on to become staples of the series, and the worst parts were never seen beyond the NES. Still, this is the game that taught us that it’s dangerous to go alone, that Dodongo dislikes smoke, and that people expect you to pay for damages when you blow up their front door. There’s a distinct charm to the aesthetics, there’s a pure focus on the gameplay, and the overall experience is a memorable one. 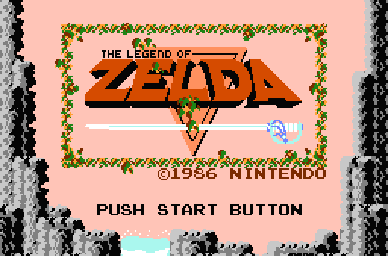 More recent games may have overshadowed it, but if you consider how groundbreaking the game was in 1987 (and how you were pretty much stuck with Deadly Towers if you wanted anything else remotely like it), I think you’ll agree that The Legend of Zelda is really rad. Alex Jedraszczak: Some may know him as Podcast Commander. Some may know him as Sprite. Some may even know him as Mesia, JOEV, Ridley, or Maid Bob. Whatever you call him, you’ll surely recognize all the work he does on the site. 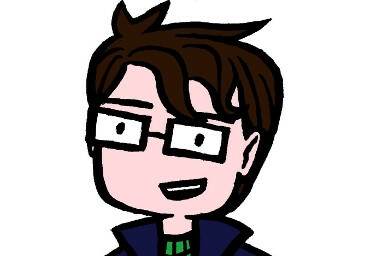 From running the podcast, to taking care of the YouTube channel, to all the editing and behind-the-scenes support he provides, he’s been picking up the slack at a time in the site’s history when there’s been a lot of slack to pick up. 2018 is looking better and brighter, and Joe’s part in making that happen easily secured him this spot. Colee Koballa: The Legend of Zelda: Breath of the Wild holds a special place in my heart. There is so much about this game that takes my breath away; from the gorgeous scenery to the beautiful soundtrack, this game had me hook, line, and sinker after only playing it for a few moments. 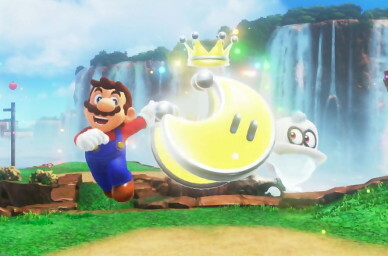 Nintendo took a leap of faith when introducing a lot of new features in this title, such as weapons breaking and making the game be an open world, to name a few. There is so much to do in Breath of the Wild which makes it so amazing. There are lots of shrines to solve your way through, many people who need helping via quests, the compendium to fill out, and hundreds of korok seeds waiting to be discovered. The DLC was a good addition to the game as it allowed us to gain a better understanding of the Champions. I think part of what makes this game so wonderful is that it doesn’t matter if you’re a Zelda veteran or not. Veterans can still find a challenge in this game and beginners won’t feel so intimidated by a new experience. This is a game that I cannot put down. After beating the main story, I keep finding myself being drawn back to the open skies of Hyrule. I can’t speak highly enough about how much of a joy this game is to play, which is why Breath of the Wild holds the title of favorite Zelda game in my heart.